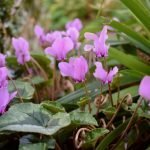 A friend of mine has just spent a small fortune filling a large border with the miniature bedding cyclamen that are in all the garden centres at this time of year. I agreed with her that they are great plants — covered in pink, white or crimson flowers for months on end… But (and this is the bit she did not know) only up to the first hard frost. At that point they turn to mush and… die. They won’t come back next year unless you get lucky with a very mild winter. She was rather disappointed when I told her. What she wanted was a hardy cyclamen. Something that was reliable and would bring pleasure year after year. 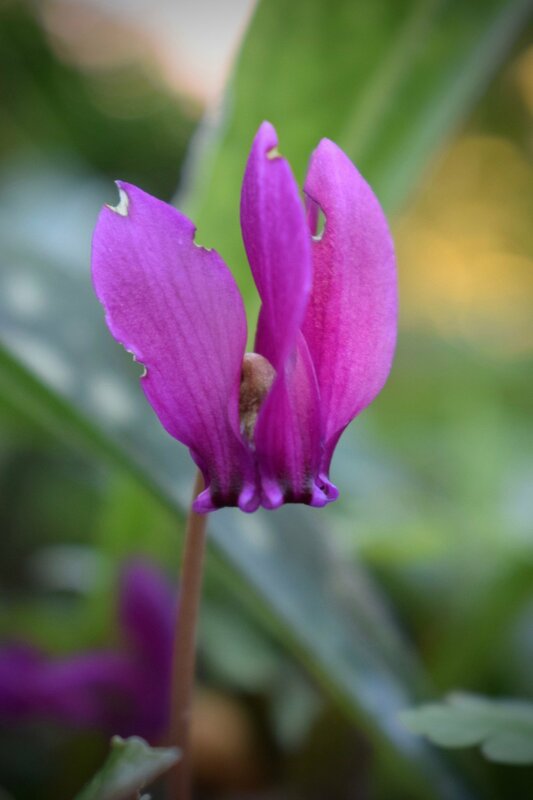 There are two hardy cyclamens: Cyclamen coum – which flowers in late winter and early spring, and C. hederifolium which flowers in the autumn. 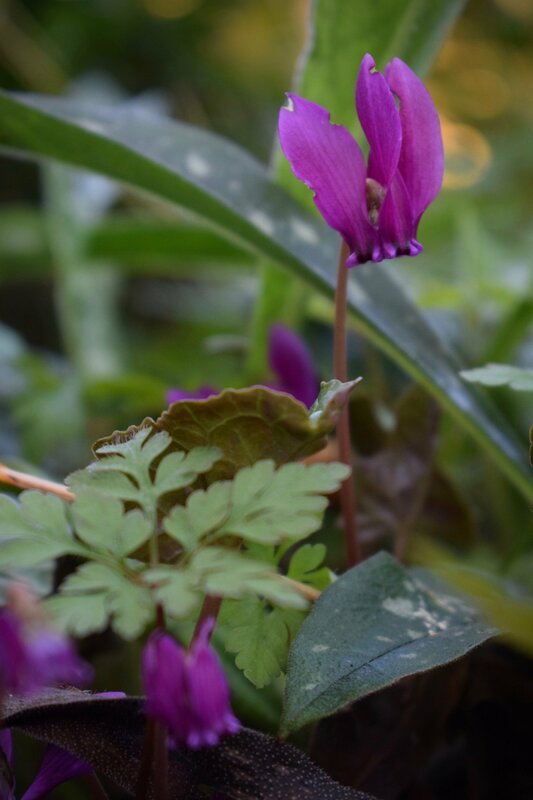 In my garden I have C. hederifolium — the Ivy-Leaved cyclamen — and it is very happy, quietly forming two small colonies in the woodland garden without any fuss at all. 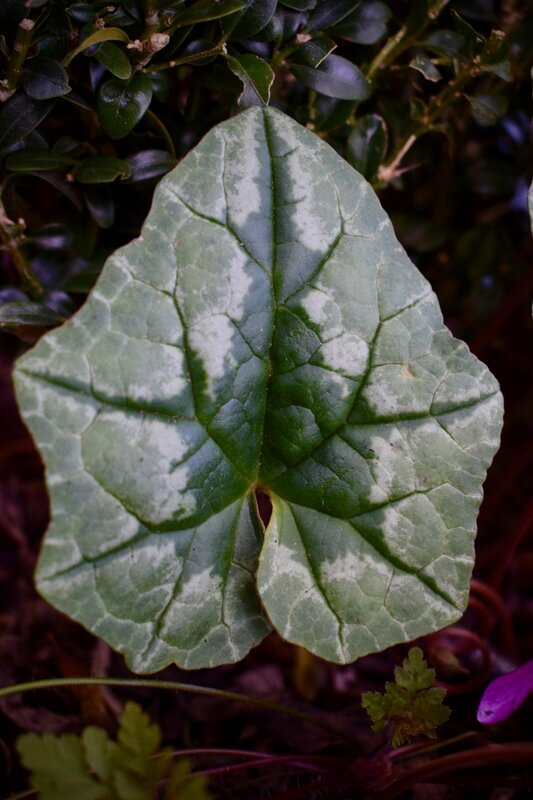 C. hederifolium has distinctive marbled ivy shaped leaves, which are handsome in their own right, and create effective ground cover through the autumn and early winter. 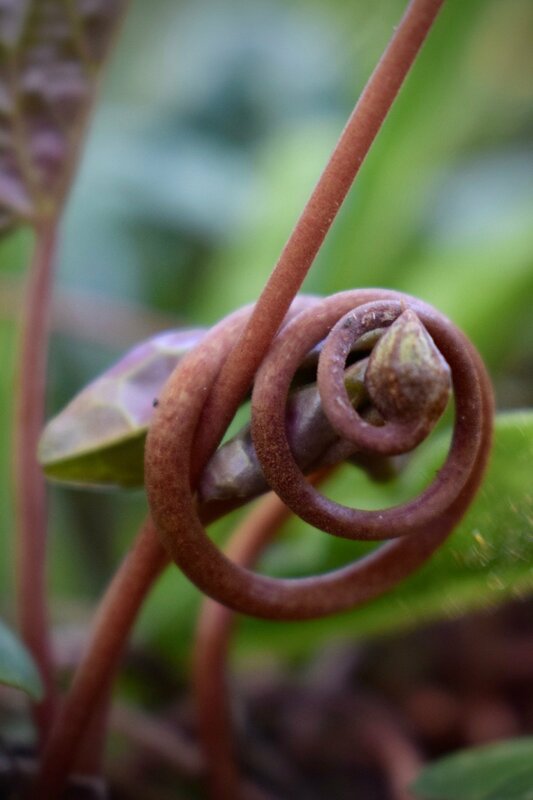 Like all cyclamen the stems unroll like tightly wound springs coming apart. The flowers are found in many shades of pink, fuchsia, cerise and white. The buds too are spirals and unwind like the iris in a camera, until the petals are flung right back on themselves, with the mouth opening downwards where the opening is more intensely coloured. 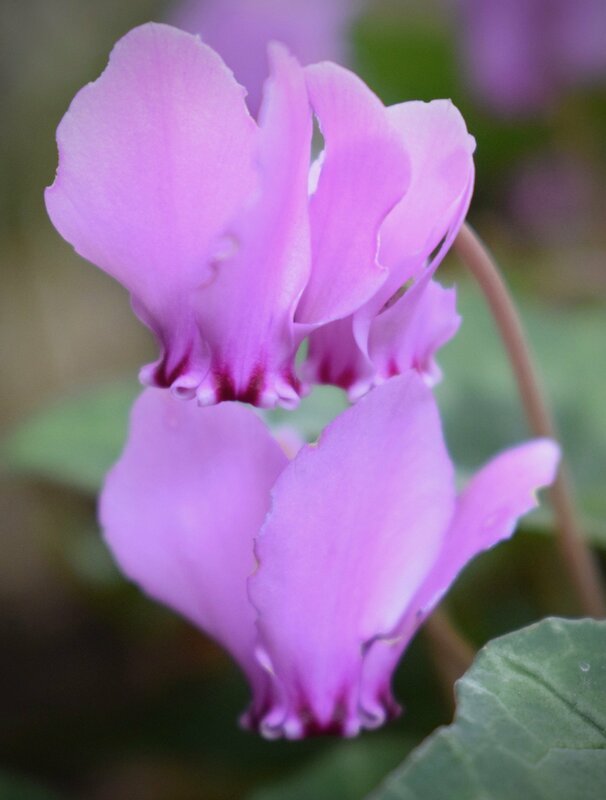 The Ivy-Leaved Cyclamen is native to the mediterranean, but naturalises easily in the UK. It is particularly tolerant of dry soils, so thrives along the base of hedges, or under shrubs or even conifers where little else will grow. It dies back in the spring, surviving as a tuber until late summer when it springs back to life. Often the flowers emerge before the leaves, but this year mine produced both leaf and flower together. As you can see in the photo above, it is happy to push its way up through surrounding, low-growing vegetation (in this case self-sown Herb Robert and Lungwort) growing to about 10-15cm (4-6 inches) high. However, it will not win out against larger plants in the long run, so it is best to keep the competition under control. 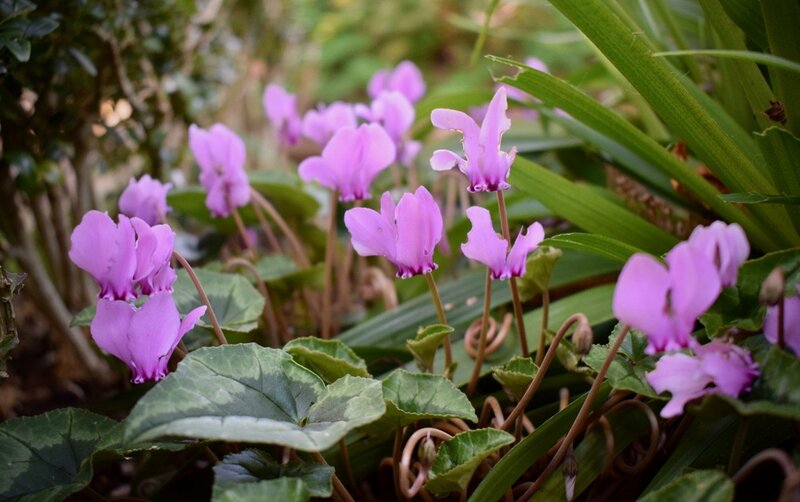 If you want to grow Ivy Leaved Cyclamen, give them a bit of shelter and space, in average soil (anything except waterlogged) in sun or shade, and if they like you (and they probably will) then you can enjoy their cheery carpets of quirky blooms year after year. Above — you can see the foliage in February: It’s handsome and works well with ferns and Arum foliage as well as the emerging snowdrop and narcissus shoots. Accoya – the best new timber for garden design?